I conducted a very scientific test today after I emptied a box of coffee pods. The answer was just over 3 minutes. 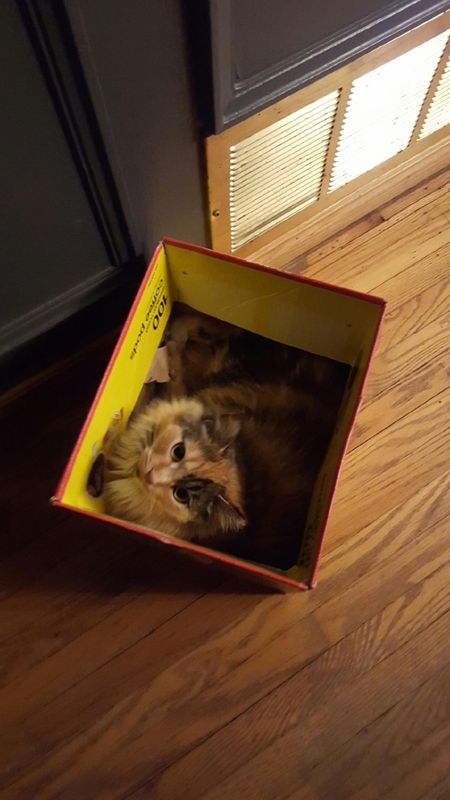 I tried to research the answer of why Cats like boxes. It seems that no one knows the answer other than to say cats are weird.